"But what if I want to drive across the country?" ask people who never drive across the country, when discussing the subject of an electric car's range. In a way, they do have a point. Unless you have time on your side, or a Tesla Model S and a string of Superchargers between yourself and your destination, electric cars aren't really built for distance driving. 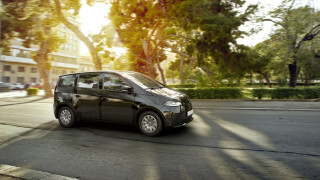 Fiat has become one of several automakers to fix that issue, by offering a gasoline-powered loaner for those infrequent trips beyond your electric car's range. For up to 12 days per year, reports Automotive News, buyers of the Fiat 500e electric minicar can rent another vehicle for free from a national chain, under a program called 'ePass'. The 500e, sold only in California to meet the state's regulations for electric vehicle sales (making it onto our 'compliance cars' list), debuted in November last year at the Los Angeles Auto Show. The free rental scheme runs through Enterprise Holdings, the group in charge of the Enterprise, Alamo and National car rental brands. 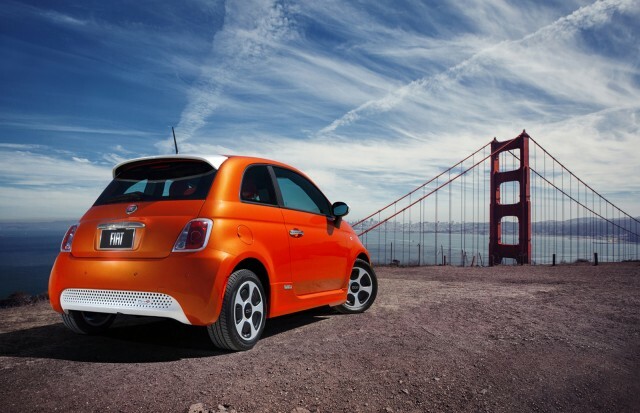 Each 500e comes with a business account and enough points to rent a standard gasoline vehicle for 12 days per year. 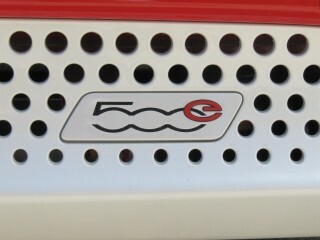 Fiat will add to this tally each year to extend the deal over the first three years of ownership. 500e buyers can of course use their points in any way they wish, so if they'd prefer to rent a minivan, pickup or convertible they can do--though they'll use more of their points allocation. The consumer is responsible for any additional insurance charges and similar with the rental agreement. According to Tim Kuniskis, head of the Fiat brand in North America, the scheme will help to overcome possible marketing issues with the car--those times when a buyer asks the question we posed at the start. "We know we've got a great car," he said, "But I still can't get a guy to New York to visit his grandma for Easter." Fiat's scheme joins a similar program announced recently by BMW. Befitting BMW's more upmarket stature, the German automaker's scheme is less limited than Fiat's. Not only will BMW's loaner car be from the manufacturer's own stable, but drivers will be able to book the vehicle for as long as they need it--so trips away can be as long as the owner needs. Both schemes are an interesting way of dealing with the concept of range anxiety however, and could be an ideal way to get drivers into electric cars while battery range remains low. Take away the biggest perceived negative factor about the vehicles, and it makes their benefits even easier to appreciate.